← Macoun opens its account with "Rated People". 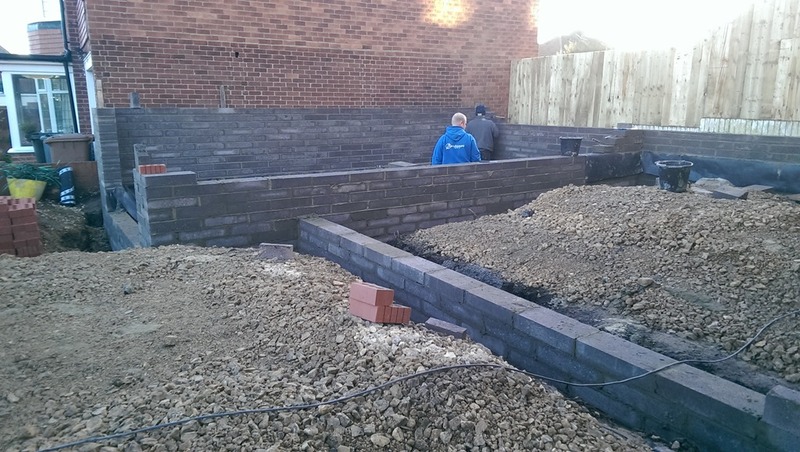 We have been working at a property in Tynemouth for the past few weeks and are delighted to be “out of the ground”. 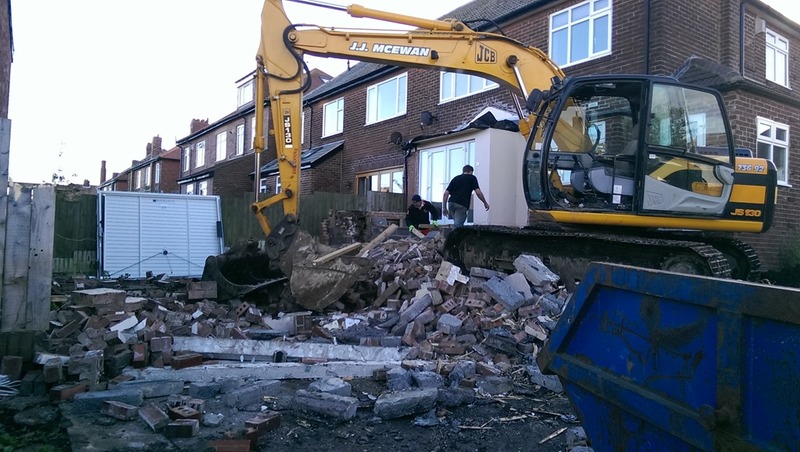 Our excavator arrived on site a few weeks ago and started the process of demolishing the existing structures, levelling the land and excavating for the foundations and floors. With in 2 weeks we had removed over 200 tonnes of demolition materials, clay and stone and were now ready to cast the foundations for the new building. 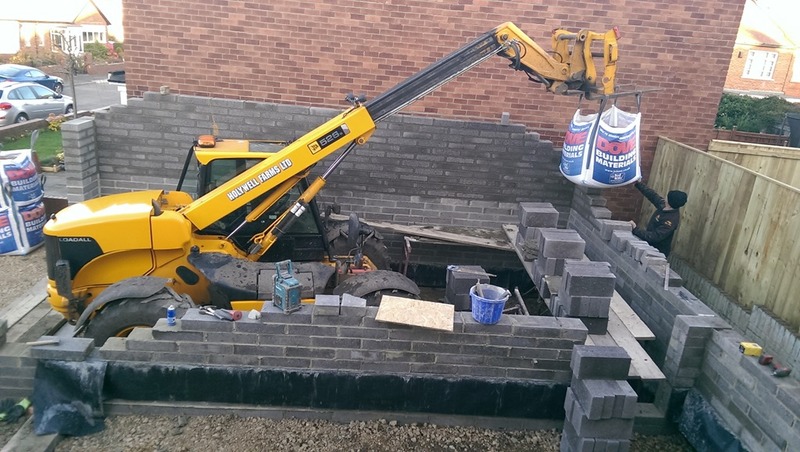 20 tonnes of concrete is lifted in place with our 13 ton JCB excavator leaving the site ready for our bricklayers the following week. The machine was also able to distribute 60tons of crushed stone to form the foundations for the solid concrete floors. 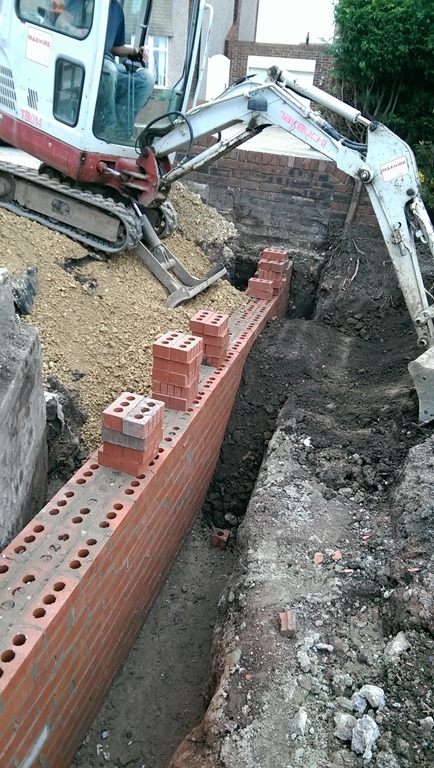 Our bricklayers had their work cut out as they needed to build a retaining wall from bricks with an absorbancy of less than 7% to prevent their strength deteriorating while under ground, the wall would take 4000 bricks and be sunk 2 meters into ground. This was then backfilled with earth and crushed rock so as to form the structure. Once this was complete they diverted their attention to the new walls which as a special thermal design using high density polystyrene below ground and solid (9”) walls made from concrete blocks. 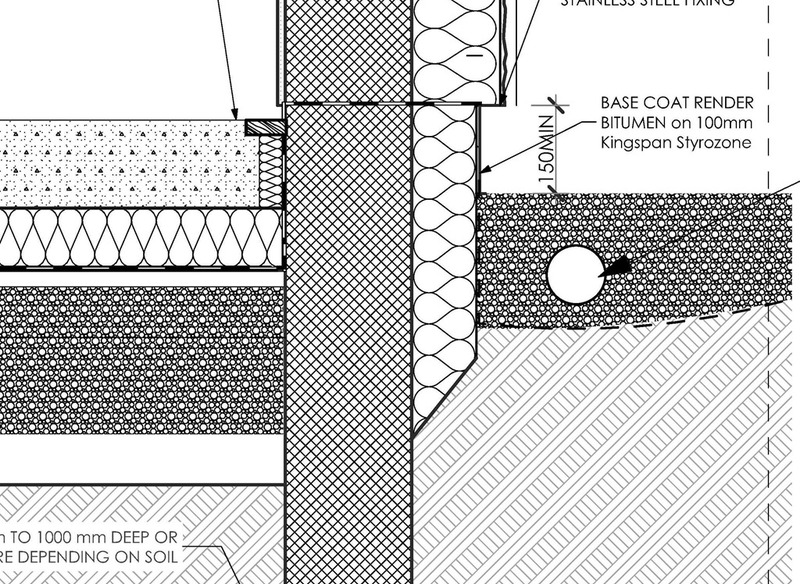 The picture opposite shows the high performance insulations mounted below ground to prevent transfer of cold into the sub structures of the new building. 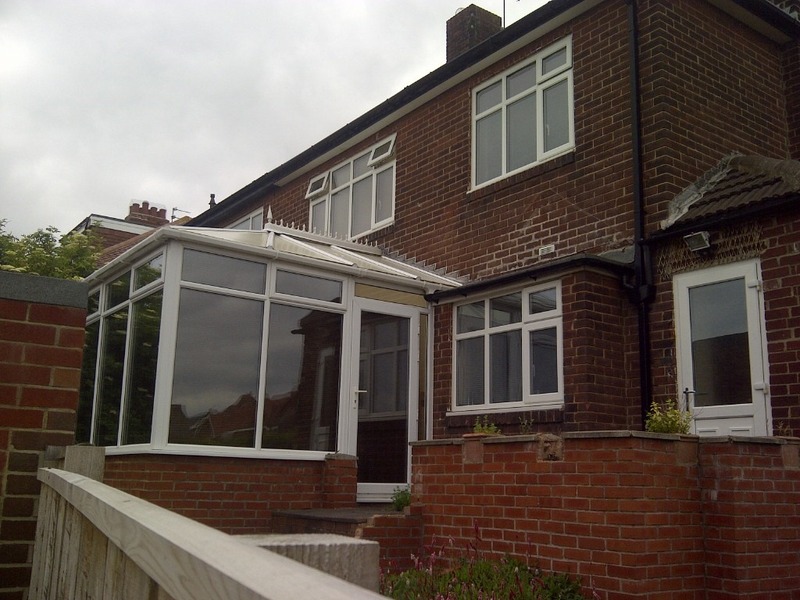 This is complimented with 150mm of similar high performance insulation above ground on the walls which is then rendered with another high performance synthetic product to keep the rain out. 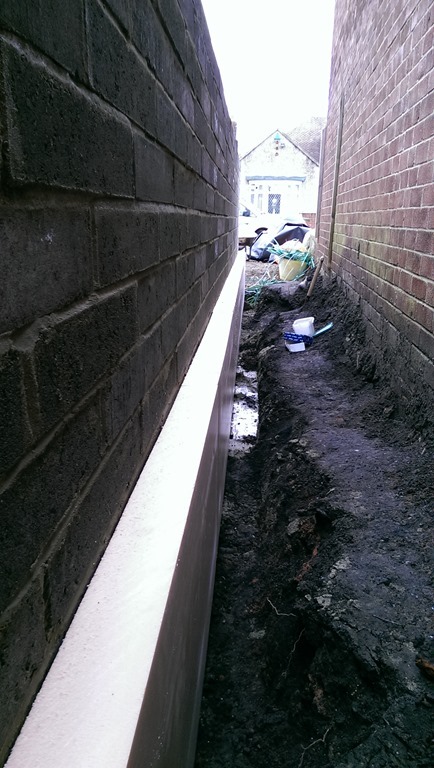 The insulation below ground is kept in place by the land and gravel pressing against it which was one of our jobs once the walls were in place. 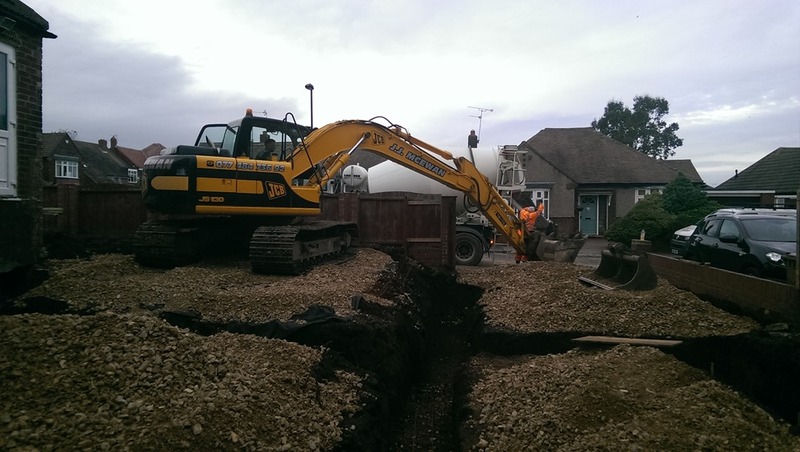 Holywell farms were called in to assist with the placing of the 8 tons on pea gravel used to back fill the surrounding areas.